From at least 4000 BCE to the death of Cleopatra VII in 30 CE, Egyptian Mythology was the foundation of ancient Egyptian culture. Spanning over large dominions as distant as the Roman Empire and the Greco-Roman realm, Egyptian mythology was a prevailing entity. Goddesses like Isis were worshiped not only by the natives of Egypt but also those of England and Afghanistan. 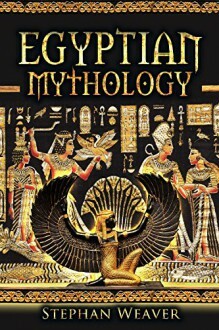 This eBook tackles each spellbinding facet of the mythology, discussing the Gods and goddesses, the Pharaohs—including Tutankhamen and the last Ptolemaic ruler Cleopatra VII— the mysterious “Book of the Dead” and the rituals and sacrifices made to the gods. You will marvel at the fascinating things you learn about the Egyptian Mythology: mummification, the theory ancient Egyptians had about the cosmos and the creations. This eBook will serve as a great insight into one of history’s most fascinating relics.